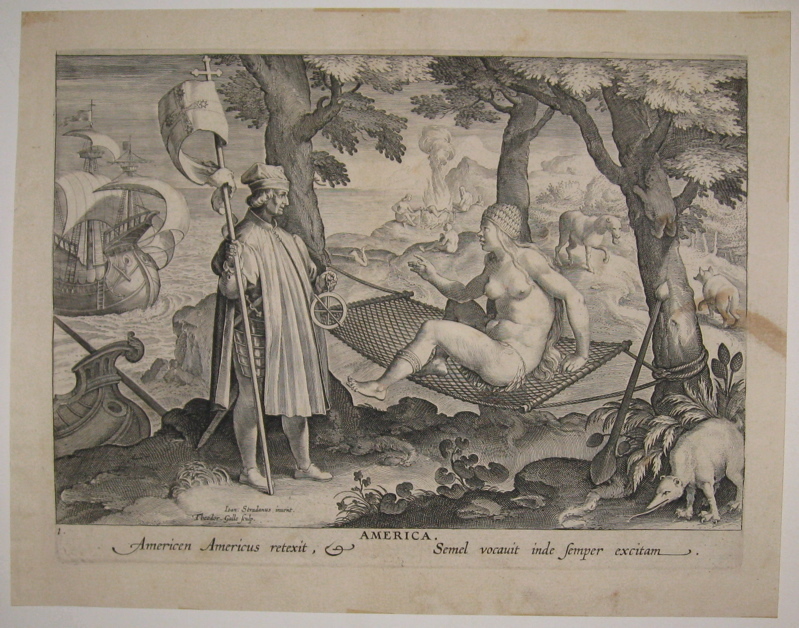 The future of America had often been writ into the imagination of frontier settlers long before their emigration. In fact, Utopian writers used America as a stage for their writings so frequently that the land’s history is often conflated with the stories of its fictional pasts (and futures) — as a palimpsest from which multiple visions of futures are derived. After the Civil War, these fictions took on a near fervent ideological bent; from Edward Everett Hale’s Sybarist and Other Homes (1869), and William Dean Howell’s A Traveler from Altruria (1894), to perhaps the most profoundly influential novel — Edward Bellemy’s Looking Backwards: 2000-1887 (1887). This last novel spurred a revolution of sorts in American politics. By the early 1890’s the adherents of the novel, those who worked to realize the future-America envisioned in the science fiction book, had formed a network of Nationalist Clubs that spanned the American continent — and poured resources into the formation of a new third party on the national stage, the People’s Party (or Populist Party). By the 1892 Presidential Election, the People’s Party had garnered the electoral votes from six western states — fully carrying Kansas, Colorado, Nevada, and Idaho. In fact, Idaho had a Governor from the People’s Party, a U.S. Senator, and two U.S. congressmen (James Gunn and Thomas Glenn 1, 2). 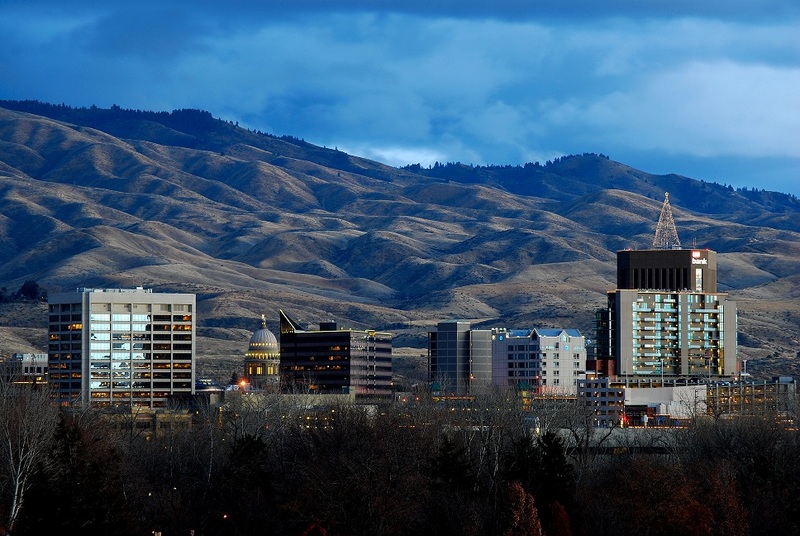 In 1898, Idaho itself had become the subject of another Utopian work of fiction, Francis H. Clark’s The co-opolitan: A Story of the Co-operative Commonwealth of Idaho (writing under the masculine pen name Zebina Forbush). In this novel Ms. Clark borrowed heavily from the actual settlement history of the, then, four year old community of New Plymouth, Idaho (which she renamed Co-opolis in the novel). Her story is set thirty years in the future (1927) — and it recounts how the cooperative commonwealth idea found its highest and best expression in Idaho, leading to a nation-wide socialist revolution. By 1975, a nearly dormant world of Utopian Science Fiction once-again emerged with a seminal work once-again written on the pages of Western America; with Ernst Callenbach’s novel Ecotopia: The Notebooks and Reports of William Weston. The novel is set in the year 1999, and is a compilation of newspaper reports and personal diary entries of the hard-nosed New York reporter William Weston (a character whose name serves as an homage to the protagonist in Bellemy’s Looking Backwards, Julian West). Weston is the first American reporter permitted to enter the break-away nation of Ecotopia in the 25 years since its succession from the Union (it being composed of the former states of Washington, Oregon, and the area of Northern California — with the city of San Francisco serving as its capitol). Callenbach uses the novel to introduce the somewhat radical notion of an entire country whose economy and urban forms are based off the principals of ecological sustainability. The book has been cited as profoundly influential to both the Green Movement and the advent of Eco-socialism. Perhaps the most significant Utopian Science Fiction writer today is Kim Stanley Robinson, starting with his wonderfully written set of novels covering three separate possible futures for the same spot of western America — Orange County, California. In the first novel, The Wild Shore (1984), Robinson explores the oddly Eden-like world of a quiet fishing village in a post-apocalyptic dystopia. Then, in a jujitsu-like move, Robinson introduces a radically different future in his second book, The Gold Coast (1988), where the area’s economy is mired in defense industry contracts and the urban landscape is dominated by automobile-centered autotopia. In his third book, Pacific Edge (1990), Robinson returns to a type of ecotopian future envisioned by Callenbach. In this novel, although the protagonist (Kevin Clairborne) is an architect/builder who converts old “dead” buildings into communal homes with integrated biological components and heuristic control systems, the primary focus is on the problems the character faces as he steps onto the local city council and is faced with a potentially environmentally damaging development proposal. More recently, Robinson has written another Utopian work of fiction, 2312 (2012). In this novel humanity has spread throughout the solar system, bringing with it every conceivable type of settlement pattern. 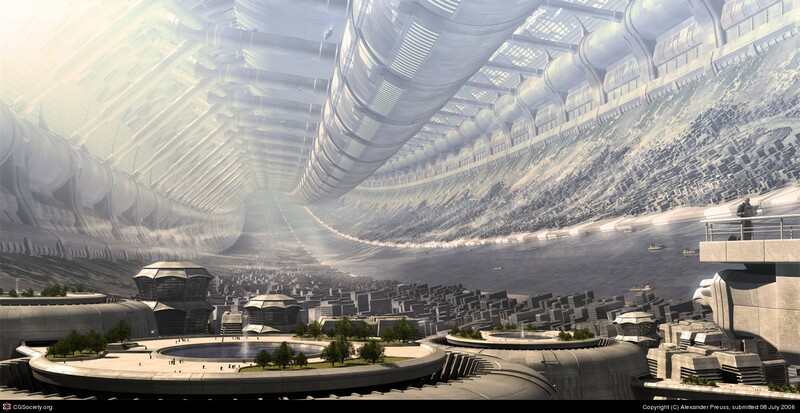 Not only has Mars been terraformed (part of the same universe created by Robinson in his Mars Trilogy), but Venus is in the middle of a monumental conversion — and a great number of asteroids have been converted into Space Habitats; which have been given differential orbits through the inner planetary system allowing them to be used as a type of interplanetary mass transit system. Many of these asteroids carry within their hollowed out cores entire biomes: African Savannas, Amazonian Jungles, Alpine ecosystems — each carrying their unique animal and plant species; flora and fauna now extinct on a future polluted and radically climate changed Earth. I think cities are important because they are so densely populated…and I think that a lot of city life is fairly paleolithic in a strange way because it gets away from the automobile. Cities encourage face-to-face interactions with other individuals, so I like it for that. And I think that rooftops need to be used for urban gardens and that cities need to be greened, less for the auto and more for people and public transit. 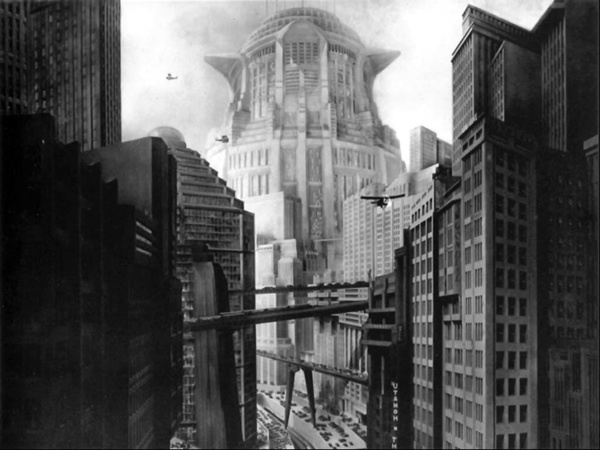 As part of a lecture series for the Museum of Modern Art (“Speculations: The Future is___.”), Robinson has been pulling together the various strands of his Utopian writings and launching into a public discussion about climate change and the unique role cities, and urban planning, will play in reversing the environmental degradation associated with such apocalyptic shifts. He has also been speaking out about economic shifts, at least as tectonic as the climatic shifts we’re experiencing. In particular, he’s been musing over the inherent flaws of Capitalism and what a post-capitalist world might look like. Here Robinson traces Capitalism to its Feudal roots and in so doing, brings its connection back to the American West — with its dominant European settlers having striven so valiantly to free themselves from political and economic serfdom. As an American writer whose novels are often set in the American West, Robinson knows we are not oblivious to the deep connections between our imaginations and our communities. As a Science Fiction writer he is surprisingly open about the limitations of technology, and about how we often abuse our intelligent manipulation of energy and material to craft far too unreal fantasies. We see these contortions in our western world every day; from large-scale gated communities (where the wealthy residents attempt to sequester themselves from the vagaries of poverty) to the squirrelly activities of Doomsday Preppers (who seem to be rooting for the collapse of society itself). In the midst of this, Robinson strikes an amazing balance between hopefulness and caution — about our common past and our shared future. The following link is to a paper providing an overview of the conditions facing public education in Idaho. It provides a snapshot into current conditions, makes specific recommendations for improvement, and ties the subject into the broader subject of sustainability within the state. 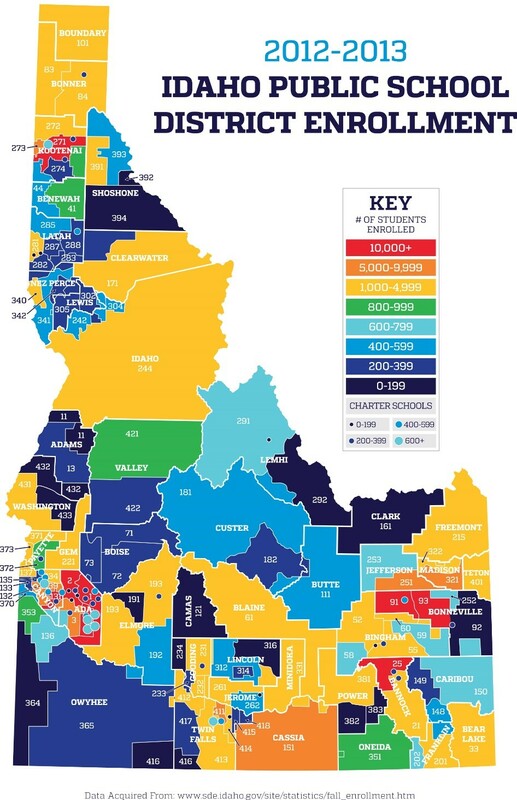 Though the general presumption concerning educational excellence revolves around the funding issues facing primary, secondary and higher education institutions within the state (and those expenditures that have a direct impact on those constraints, primarily teacher/student ratios); when the subject is viewed through the lens of sustainability the matter becomes more deeply integrated into the financial and employment concerns facing each community within Idaho. This paper will attempt to draw a correlation between each community’s educational resources, and its ability to foster an environment for long-term economic and employment stability. The paper lays out the argument for a reduction in school campus size, and campus placement criteria, that would more fully integrate primary schools into each neighborhood. 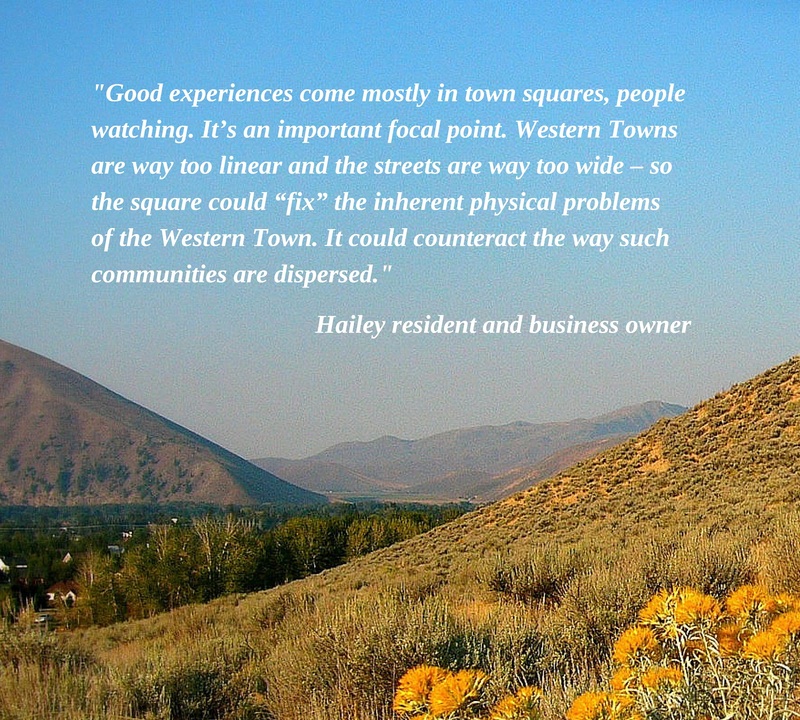 As the small mountain resort community of Hailey, Idaho has grown, the lack of a centrally located place for residents to gather and celebrate has become a stumbling block for community participation. This research project was undertaken to in a effort to plumb the depths of public sentiment regarding a new Town Square, and to assemble a set of programmatic design criteria for such an urban open space. These criteria fell into three distinct categories of attributes; Adjacencies, Activities, and Amenities. Additionally, the research lead to a prioritization of a list of potential sites in the downtown area that could support a new Town Square. Unlike the conventional urban design approach of deliberating upon the appropriate Form and Function of a public open space, the author included the range of acceptable “adjacencies” for such a space. This permitted the community members to express their preferences for types of land uses and spaces that should be located next to their unique town square. The research effort involved authoring and conducting a modified charrette effort that engaged key community stakeholders in the creation of a set of three-dimensional maquettes; which modeled their preferences for the three categories of attributes. This detailed information was then used to constructed a public survey for the community (a population that included all residents, business owners, and employees). These preferences were then used to develop a set of architectural programmatic criteria for a new Town Square – with these criteria then being used to prioritize a set of potential sites for this public open space. This report was presented back to the mayor and city council on June 1, 2015. A “Small Community” within the Community? When is it okay to fail?